I was lucky enough to review the LeapPad Ultra a month or so ago and I told you guys yesterday about a few of the apps we were able to download. 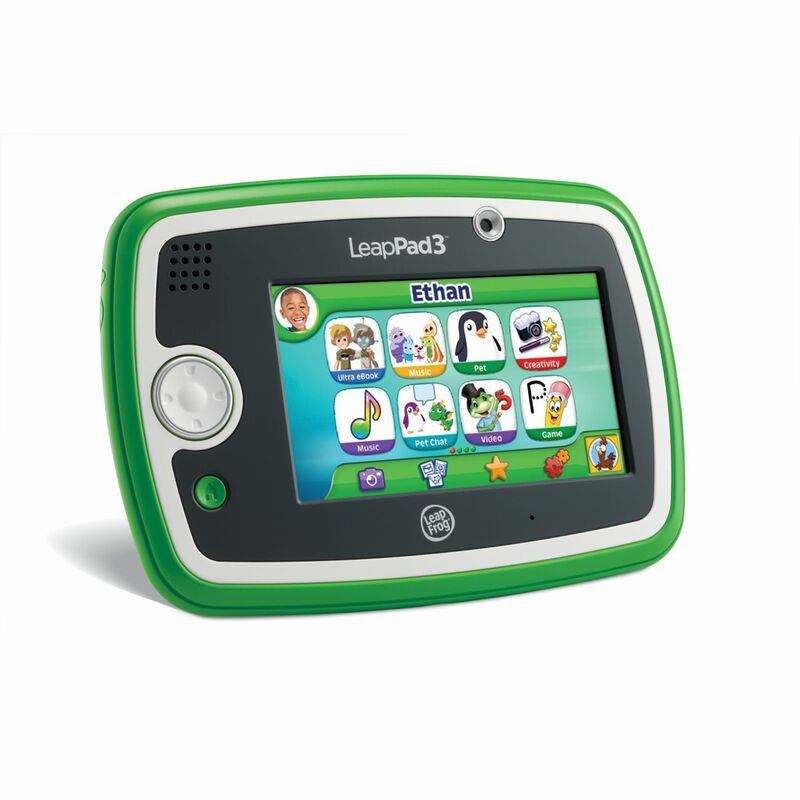 Well now LeapFrog have widened their range of tablets again with the LeapPad3 and the LeapPad Ultra Xdi. LeapPad tablets have always offered the perfect first tablet experiences for kids, since pioneering the children's tablet in 2011, LeapFrog's tablets have received over 40 accolades from parenting and industry organisations and time and time again have been seen as "must have" toys at Christmas. The latest versions to the family offer the same top quality educational apps, books, games and videos as well as being highly durable and extremely safe for web browsing. is five inches big and is the fastest, highest performing tablet from LeapFrog. Boasting 4GB of memory as well as a 2 mega pixel front and back cameras/video recorders. I thought the LeapPad Ultra was a pretty hard gadget to beat, well it seems the LeapPad Ultra XDi is going to knock it out of first place. With a 7 inch high resolution touch screen, 8GB of memory and an oboard MP3 player, it appears to offer the ultimate multimedia experience for kids. Both tablets provide : the best educational content, safe browsing powered by Zui and kid tough design with shatter safe screens. The LeapPad3 for a RRP of £89.99 and the LeapPad Ultra XDi for a RRP of £119.99. Both will be available instore and online from the 28th July and you will have the choice of pink or green. For more information visit http://www.leapfrog.com/en-gb/products/tablet-family.